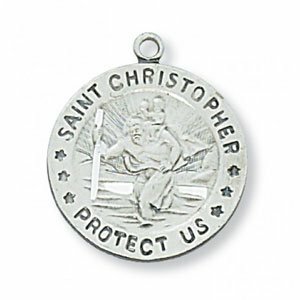 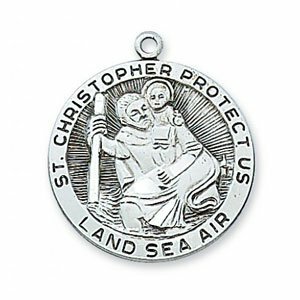 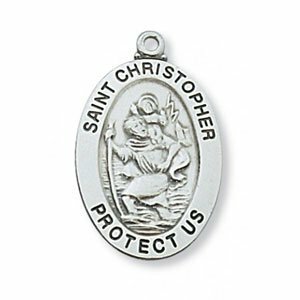 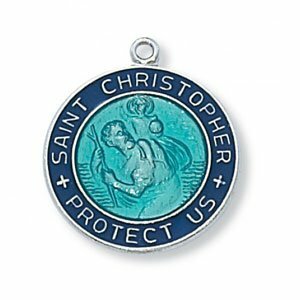 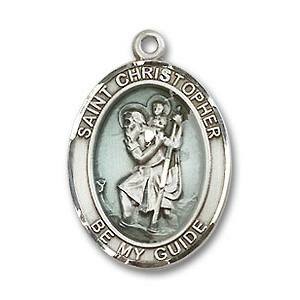 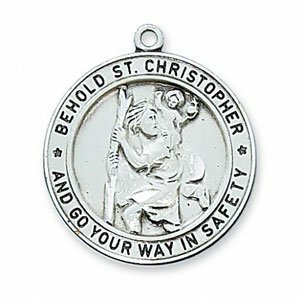 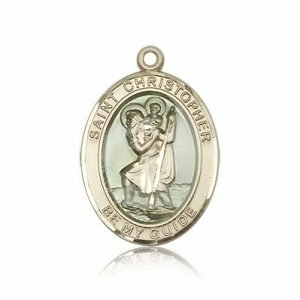 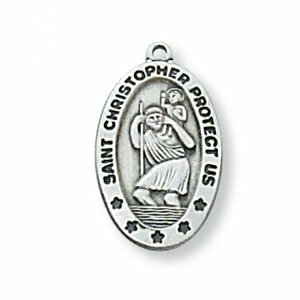 Blue Enameled Sterling Silver St Christopher medal measures 13/16″ long. 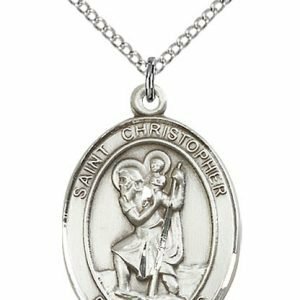 It’s slightly larger than that of a penny and comes with 18″ rhodium plated chain. 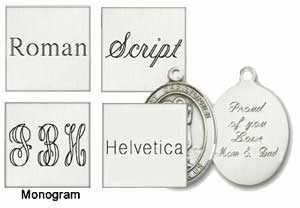 packaged in a deluxe gift box.